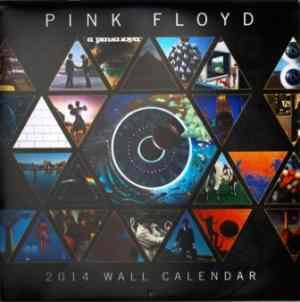 The 2014 Pink Floyd calendar takes a look back at their entire album catalog. Each month of the calendar covers a different aspect in the band's history, and each month runs over two 12-inch pages - much like a gatefold vinyl album being opened. Officially licensed Pink Floyd merchandise.